With 1.6 billion Muslims globally, and an annual consumer lifestyle spend of $2.6 trillion, the halal food market is one that simple can’t be ignored any more. Throughout the week at Food Matters Live being held in London at ExCel, 21-23 November 2017, Halal industry leaders, London Halal Food Festival, will bring together experts from the halal industry for their a range of free seminars outlining how brands can learn how to tap in to this ever-growing, affluent market. The seminar sessions will focus on providing a simple overview of what halal means and what problems brands may face when trying to reach this new audience. With Muslim’s predicted to total 25% of the world’s population by 2020, it’s important to know how to reach out and market your brand right. According to a study by Ogilvy Noor, more than 90% of Muslim audiences said their faith affects their consumption, and with 60% of the world’s Muslims under 30, this is a trend that is unlikely to change. 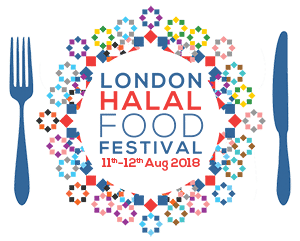 Managing Director, Waleed Jahangir will be speaking on Tuesday 21st and Wednesday 22nd to give brands a brief overview of the Muslim consumer and what the “Muslim pound” can really mean to you. Also speaking will be Marketing Guru Kevin Jackson, discussing how brands can reach a new audience by introducing halal products, and how to market them right. For a true brand’s perspective, Noman Khawaja, owner of halal food brand Haloodies, will be discussing the challenges found within the industry. As the only 100% Muslim owned, halal meat brand selling fresh and cooked products, they understand that halal is more than just a logo on a pack. Outside of the seminars, guests will have the opportunity to sample goods from Haloodies, along with treats from The Ojos Foods, offering halal charcuterie brand, and The Mocktail Company, presenting tasty alcohol-free cocktails.